LIVE- WORK - PLAY! 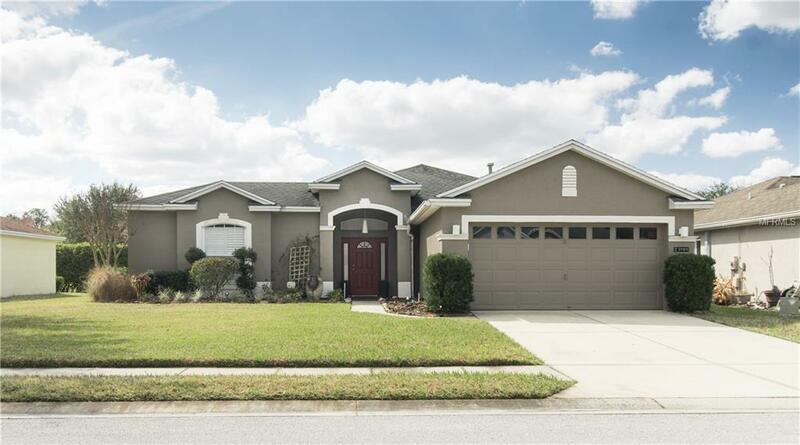 in this beautifully updated home in the desirable Carillon Lakes Community. The Mimosa Model, features a floor plan that is perfect for entertaining, having a home based business and more....with it's stunning courtyard, featuring an in-ground, salt water, hot tub and separate 3rd bedroom and bath. Inside, you enter through a large open foyer with built ins. The kitchen is open to the dining room and has a breakfast bar open to the living room. The large Master bedroom boasts bamboo flooring, large en-suite bath and walk in closet. The second bedroom is separated from the master by the living room, kitchen and dining room. 2nd bedroom has a bathroom just across the hall. Nice indoor laundry/utility room. There is also a fenced area in the back of the house for pets to run or you to run out and get a lime off the tree. Enjoy all of the amenities that included with your LOW HOA fee: Junior Olympic Pool with heated spa, tennis courts, fitness rooms, banquet halls, activity hall with planned activities, billiards/pool room, fishing piers, walking trails, PLUS lawn care and 24/7 guarded gate. This is a MUST SEE! Additional Lease Restrictions Please Refer To Community Deed Restrictions. Pet Restrictions Please Refer To Community Deed Restrictions.